Prescription for whiskey to be taken in milk 3 times daily. 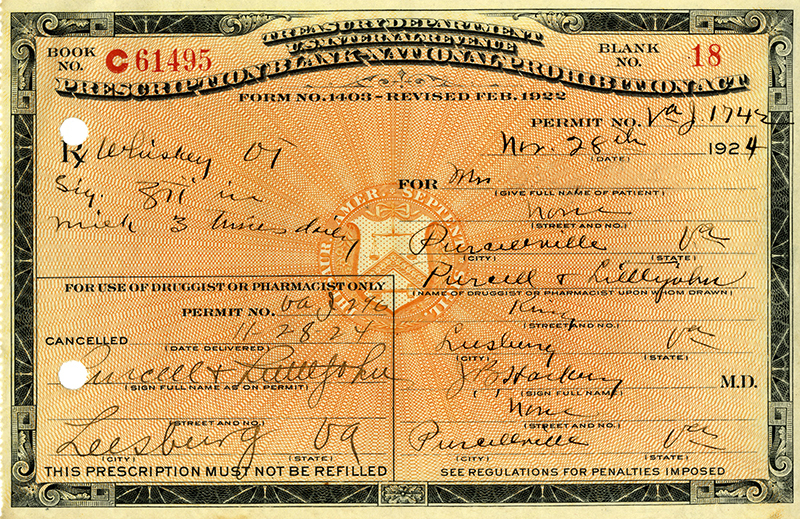 Filled at Purcell & Littlejohn pharmacy, Leesburg, Va.
During Prohibition, the U.S. Treasury Department issued forms that authorized physicians to write prescriptions for medicinal alcohol. “Whiskey prescription,” Social Welfare History Image Portal, accessed April 26, 2019, https://images.socialwelfare.library.vcu.edu/items/show/302.